She is currenty working with Anne-Sophie de Bueger on the project Abord’age, leading workshops of singular expression in a retirement home. 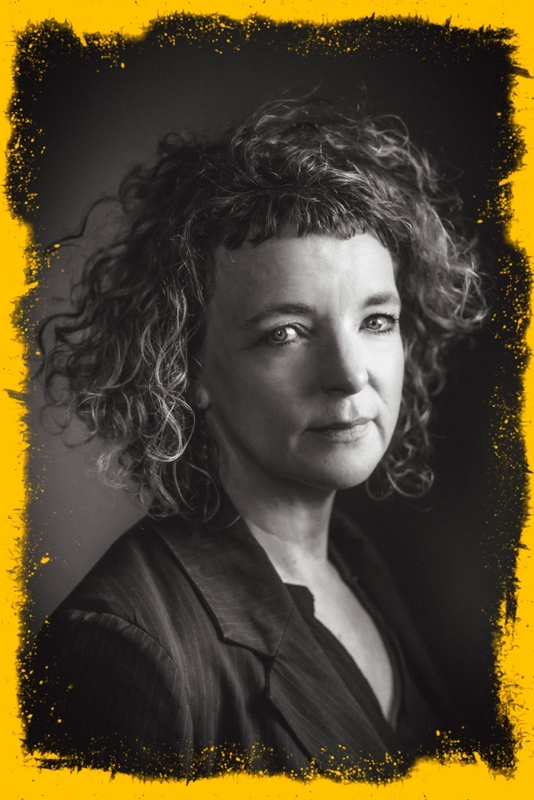 For fifteen years, she has been directing numerous theatre workshops and training for various people: newcomers to Belgium, future teachers and child care workers, children in difficulty, all under the authority of Bruxelles Laïque, the Cocof, la Montagne Magique and the Roseraie. She is the casting director on Marta Bergman’s feature film, Seule à mon mariage (to be released soon). MANU is her first film. Clin d’œil Films is a Belgian production company founded and managed by Antoine Vermeesch and Hanne Phlypo out of their love for film. The company focuses on creative documentaries and author-driven film with a clear preference for films with a social or political statement by creative and innovative filmmakers. Antoine and Hanne work in close collaboration with their filmmakers. At the same time, Clin d’oeil Films aims to co-produce international films for theatrical release, TV or internet. In 2010, Clin d’œil produced Silent Stories by Hanne Phlypo and Catherine Vuylsteke, followed by Houses with Small Windows, a short fiction by Bülent Öztürk (selected at the prestigious Orizzonti section at the Venice Film Festival and nominated at the European Film Awards) and The Art of Becoming by Hanne Phlypo and Catherine Vuylsteke. RTBF). In 2016, the company produced Samuel in the Clouds, a film by Pieter Van Eecke which received the Best Cinematography Prize at the Bilbao Mehdi Film Festival and the Gold Hugo Award at the Chicago International Film Festival, amoung others. In 2016-2017, Clin d’œil coproduced A Family Affair by Tom Fassaert (EFA Awards nominee), BUGS by Andreas Johnson and Ubiquity by Bregtje Van der Haak. Several projects are currently in development and in production at Clin d’œil: Madre del Oro by Mary Jiménez and Bénédicte Liénard, Fields of Hope by Olivier Magis, Traces d’un village by Nicolas Graux (in coproduction with the Belgian company Dérives), Love is Not an Orange by Otilia Babara, La vie est un jeu de cartes by Philippe de Pierpont and The Mercurius of Molenbeek by Reetta Huhtanen (in co-production with Zone2Pictures).